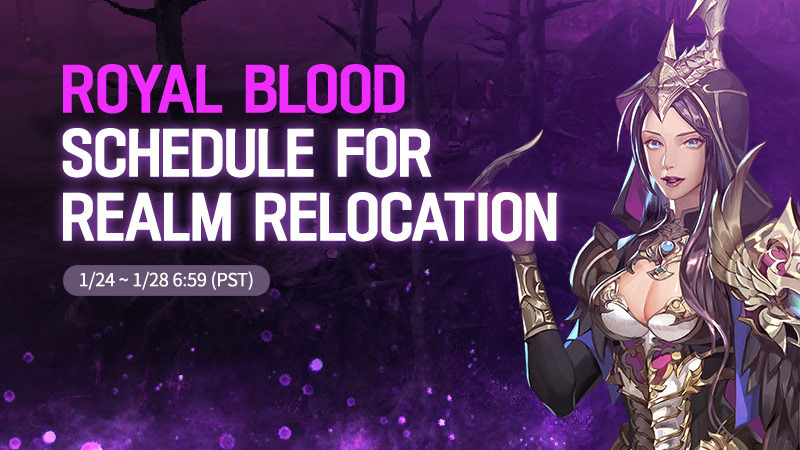 We will be holding realm relocation applications. Please see the details below if you wish to transfer realms from Aslan to Harmion! - reward relocation will be provided to all of the recipients. - The “Apply Realm Relocation” link below will redirect you to application page. * CS code can be found in [Menu > Settings > Account / Misc] in game. ※ Please Check the Realm relocation policy and precautions before submitting your application. 1. Application is only open to Aslan users. 2. The unit of Realm relocation is account, application by guild or individual character is not possible. - Plan to relocate applicants from same guild at the same time is under consideration. 3. Application for sub-accounts is possible up to five accounts, all the accounts will be relocated together. 4. All the characters in the applied account will be relocated to Harmion Realm. 5. Every Character information including item, goods, and currency will be relocated together. 7. Reward for realm relocation will be distributed when connecting to the game for the first time after relocation through In game mail. 8. Reverting back to original realm after completing realm relocation is not possible. 1. Upon relocation, you will be automatically removed from your current guild. 2. If a guild commander applies for realm relocation, the below policies are applied. > > Commander position delegation: if the guild commander does not entrust the commander position to another guild member until scheduled maintenance on January 31st (Thurs), the commander position will be delegated automatically to the guild member that was connected to the game last. > The guild level will transfer over when you create a new guild after relocating realms. * The guild level will transfer after the maintenance. 1. Data regarding rankings will be integrated and recalculated after relocation. 2. Items registered in auction house will be relocated together. 3. Friends list, friend requests, and blacklist will reset upon transfer. - If you transfer realms, your information will be deleted from your friends' list. We would like to thank all the users for the love and attention you’ve shown for Royal Blood. We will try our best to complete server consolidation swiftly and provide more enjoyable game.